Subbuteo Parramatta is proud to be hosting the 2017 Sydney International Open. 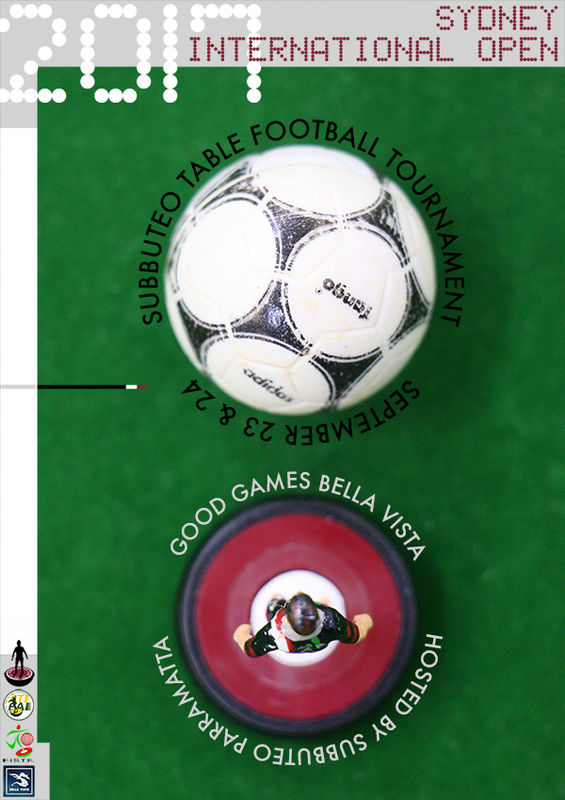 The tournament will be held on the weekend of September 23 and 24 at Good Games, Bella Vista – Lower podium H143, 24-32 Lexington Drive, Bella Vista, NSW. On Saturday, September 23, there will be a Teams Tournament. On Sunday, September 24, there will be an Individual Opens Tournament and an Individual Junior Tournament. Pending numbers, we may also run an Individual Ladies Tournament and possibly a Junior Teams Tournament. Entry fees for the tournament is $12 per day for 18s and over, and $5 per day for Juniors (payable on the day of the event). All players are welcome to enter. All entrants must be ATFA Members (or members of their own international associations if from outside Australia). Membership can be obtained at the tournament or via our membership form online ($10 for 18+, free for Juniors). We will also seek to organise a social dinner for the Saturday evening for any players interested in attending. Please register for the tournament using the form below. This entry was posted in News and tagged fistf tournament, good games bella vista, subbuteo parramatta on 13/07/2017 by ajebec.